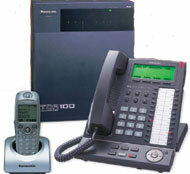 Business Phone Systems New Jersey - Affordable Rates. All Brands Installed and Serviced. Amertel sells, installs and supports customized business telephone systems. Our scalable and flexible solutions are designed to meet the needs of your New Jersey business .... today and in the future. We work with you to tailor a fully customized telecommunications solution for your business at an affordable price. No matter the size of your business we take care of it all for you ..... expert recommendations, sales, phone installation, programming, training and follow-up support. 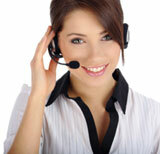 Expert advice in choosing the right phone system for your needs. Installation and on-site services available for Northern and Central New Jersey. Phone equipment sales and support nationwide. We sell and service all major brands. A name you can trust. We've been in business since 1985. That's over 23 years of experience that we put to work for you. 24 x 7 support for our customers. Free site surveys and Free written estimates. Amertel offers a wide range of telecommunications services along with friendly, personal service and expert advice, all at cost-effective rates. Superior brand name Telecommunications Equipment .... Panasonic, Avaya and many more. Repair of your existing phone equipment. We also sell refurbished phones. P.A. Systems, Intercoms, Video Phones, Telephone Monitoring Systems, and more. In addition, we can customize any project to meet your specifications. We guarantee to get the job done to your satisfaction. Amertel also offers the same great service to homeowners in New Jersey (Northern NJ and Central NJ) looking for customized telecommunication solutions for their homes. Free evaluations and installations are available 7 days a week. No extra charge for weekends. We sell and service a complete range of Panasonic phones and voice mail systems that can be customized to your business needs. The KX-TDA 50/100/200’s modular design lets you expand your business phone system as your needs evolve.